While going paperless The Future Is Here - Your Guide to Having a Paperless Life Today The Future Is Here - Your Guide to Having a Paperless Life Today Paperless – a term that is used quite often now days. But what does it mean? And to what extent does it apply? Certainly we all still use paper to some degree despite the advancements... Read More is the dream for some, it’s probably not going to happen for a long time. Most people still have to print to get computer documents in a physical form, and scan to get physically documents on their PC. The good news is that you don’t need any hardware other than your smartphone to scan these days. You can actually scan documents with nothing more than your Android phone — here’s how. Get started by opening the Google Drive app on your Android phone. Tap the floating + button in the bottom-right corner and choose Scan. The app will launch your camera and you can snap a photo of whatever you’d like to scan. You can also adjust these after you’ve taken them. Once the picture is taken, press the crop symbol to cut out unnecessary parts of the image, the refresh button to try that one again, or the plus button to add another page to scan. Once everything is complete, press the check mark and the scans will be uploaded to Google Drive for you to access. If you scan often, you can even make a shortcut on your home screen How to Make Your Own Uniquely Gorgeous Android Home Screen How to Make Your Own Uniquely Gorgeous Android Home Screen Here's a detailed look at the whole process. If you follow it step by step, you can get the same eye-catching home screen for your device and learn to experiment with design recipes. Read More for easy access. Long-press on some blank space on your phone’s home screen and tap Widgets. Scroll down to Drive and drag the Drive scan widget to a convenient place. Once it’s placed, you’ll need to choose a folder to save scans into. Then you’re ready to go — tap that icon and get scanning! The Android Google Drive app has a "scan" mode that auto-keystones, converts to B&W; is there a photo app that does the same w/o uploading? Looking to go further with your scanning? 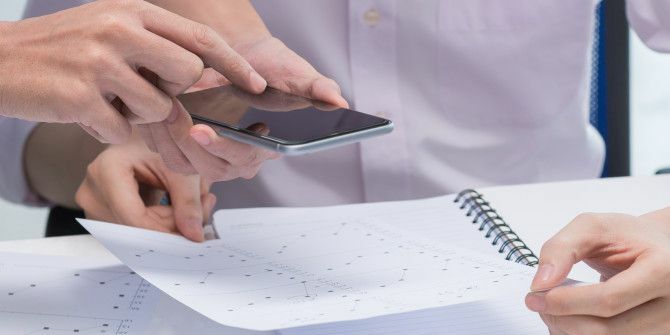 Check out the best apps for scanning and managing receipts The Best Receipt Apps for Scanning, Tracking, and Managing Bills The Best Receipt Apps for Scanning, Tracking, and Managing Bills These receipt scanner apps will help you scan, save, and organize every bill for your personal or business needs. Read More . Have you ever scanned with your phone? Let us know your tips for better phone scans in the comments! Explore more about: Digital Document, Scanner. I've photographed documents using the camera of my Nexus tablet, but the results were quite unsatisfactory and fuzzy. Would using a scanning app give a better result? This is cool...I have the Drive widget on my home screen but didn't realize the scanning function was in there! I'll give it a shot, but I wonder if it does perspective correction? I use Microsoft Office Lens for scanning because it does do the correction. A great example for that use is sitting to the far side of a classroom and taking pictures of notes on the board. A normal pic will be skewed from the sideways perspective, but Office Lens corrects that and gives you a properly-squared-up picture, which you can then save. There are check boxes on the save screen for various Microsoft destinations like OneNote, but not one for Drive (it's Microsoft after all). There's a Gallery selection though, so I send it there, where it is auto-synced to Google Photos, which I then access in...Drive. I use Cam Scanner. It has better processing capabilities. My comment above wasn't supposed to have a question mark. That's OK. Well, at least you have two ways to scan now! Ya, I got one for Christmas? Is that different than what I had in the instructions? I had to click the Plus button (for add) as well. Actually, no - you mention that in the first paragraph but not in the video. Ah, I apologize for the confusion. I didn't create the video - I found it on YouTube and thought that it was a good visual aid. That video must be for an older version of the app. No apology necessary. Thanks for the response. I have always used camscanner. I didn't realise that Google Drive had a scanner. I will definitely give it a try. I'm glad this will be useful for you! I wish I'd seen this before whining that I didn't have a scanner. Did you go out and buy one? At least you know for the future!